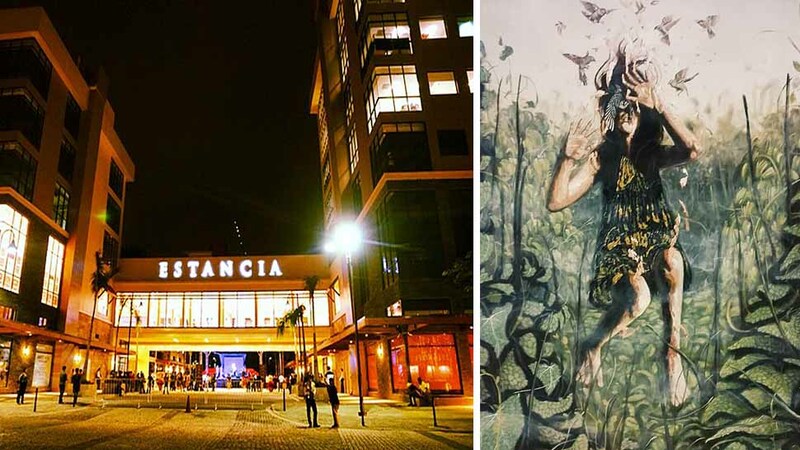 Malls are basically spaces to shop in, eat at, and meet friends, but Estancia Mall of Capitol Commons takes it one step further with the first ever Ortigas Art Festival, launched this February, which is Arts Month. 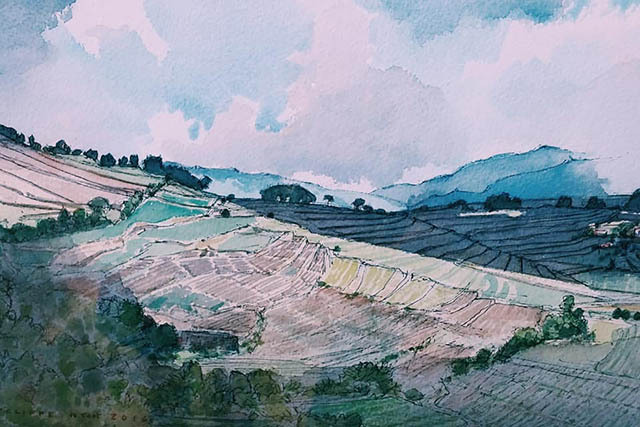 In the middle of the second-floor Bridgeway are delicate watercolor-on-ink paintings by intercontinental Peter Sutcliffe depicting various landscapes and intimate vignettes. 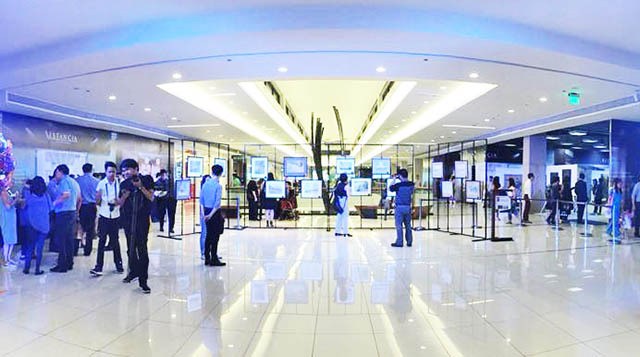 Check out the art installations by Allison Wong-David, and Arvi Fetalvero. Don't miss the "Quiet Space" on the Bridgeway, a giant, stainless steel "tunnel" you can escape into for some introspection and quiet time. Check out Buxani's raw, powerful forged metal sculptures of samurai warriors and elegant abstract ellipses on the ground floor. 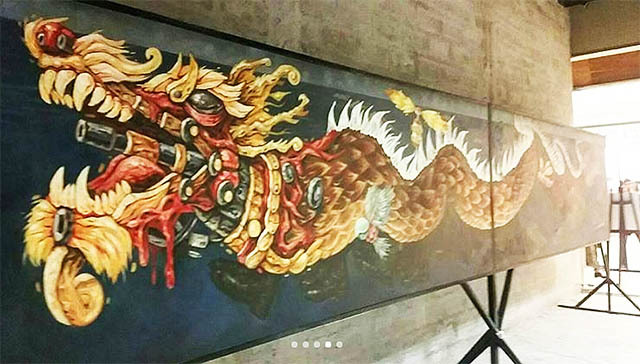 Kalye Kolektib is a collaborative group of artists based in Las Pinas, and is composed of Dennis Atienza, Rai Cruz, Alfredo Esquillo, Fetalvero, Ivy Floresca, Kirby Roxas, Joannis Sicuya, and Anthony Victoria. 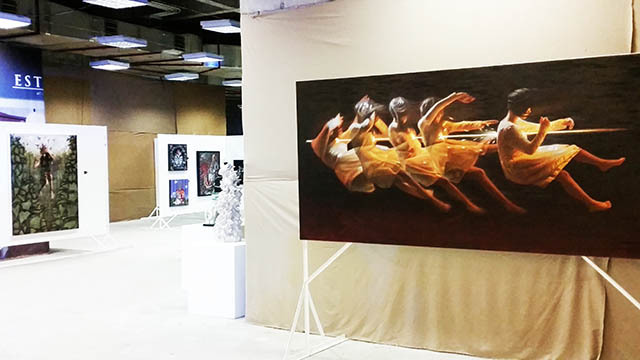 Peppered throughout the mall are the works of various art collectives such as Eskinita Contemporaryo, Biskeg, Tuklas, and Kalye Kolektib. 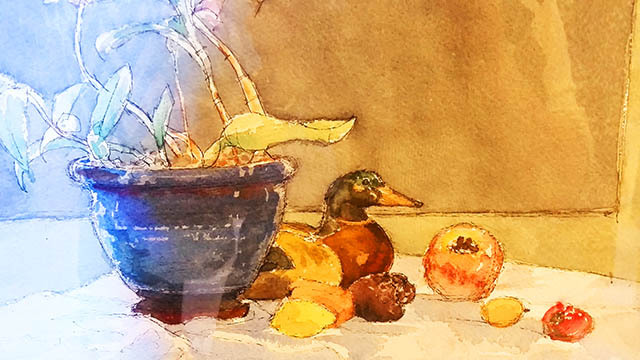 You can avail of art workshops, live painting sessions, and watercolor tutorials on select dates. 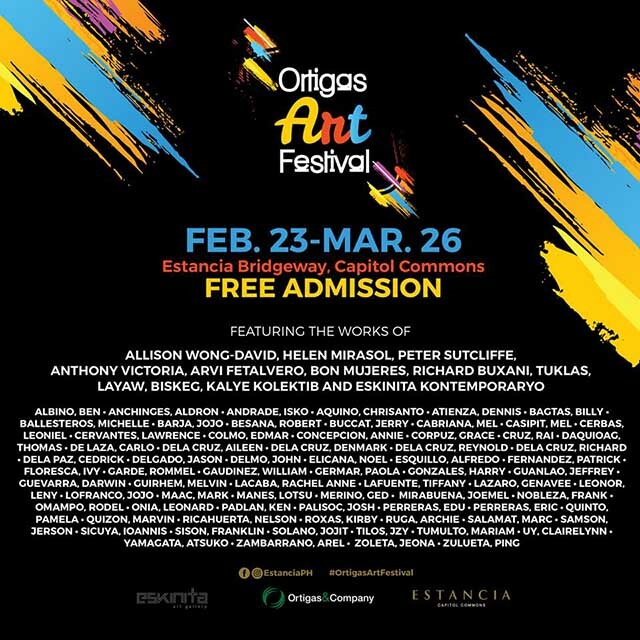 Ortigas Art Festival exhibits can be viewed at the second-floor Bridgeway and at the ground floor of Estancia Mall, Capitol Commons, Pasig City until March 26. 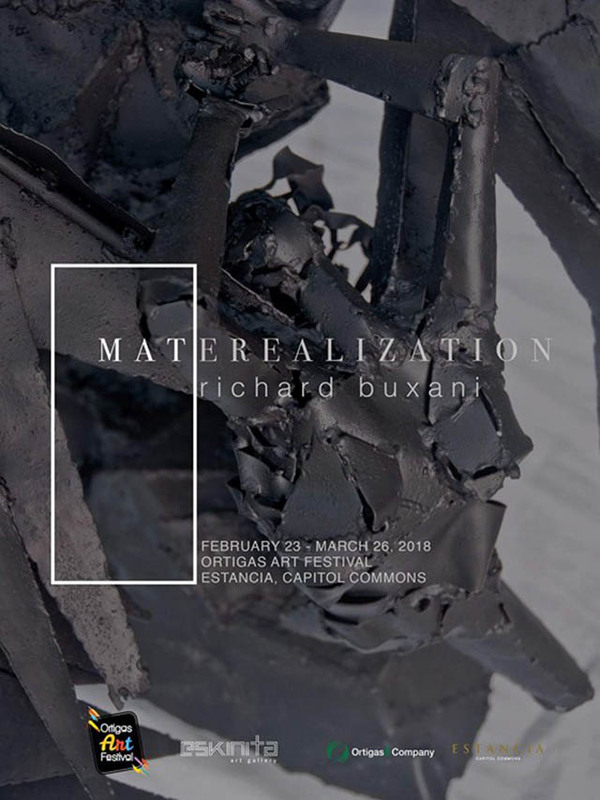 This Festival is brought to you by Ortigas and Company.